Home Theater Seating is a collection of authentic cinema rockers and luxury loungers that are American made and provide the ultimate in home theater seating comfort and function. From authentic cinema rockers that create a theatrical aura and allow for more seating in any given space, to luxury loungers that provide both form and function in distinctive luxurious recliners, you and your guests are assured of best seat in the house for viewing choice programming. 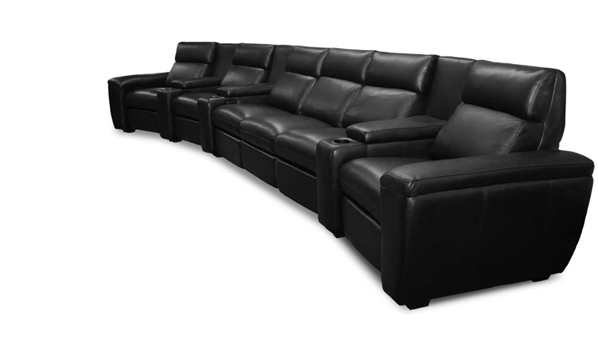 With 4 styles of authentic cinema rockers, and 2 distinct levels of luxury recliners, Signature Series and Premium Series, our collection can certainly meet the home cinema seating requirements of the most discriminating buyer and virtually any décor theme.